Ziyan Salon and Spa provides On-site and In-House Bridal services. Trust the experts at Ziyan to make your special day as beautiful as it can be. 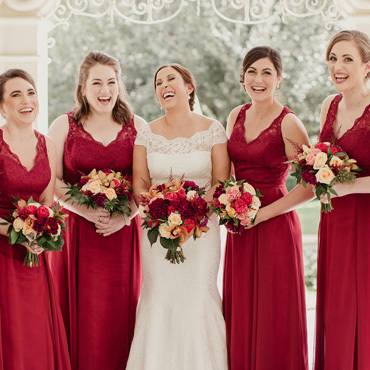 Our best and most accomplished stylists can come to your wedding to accommodate your entire Bridal Party. We offer the best hair and make up services and guarantee satisfaction on your most important day. If you're looking to have your hair and make up done for your big day, or just want to have a spa day for your self and your friends, Ziyan Salon and Spa is the place. We have an entire spa lounge that can be reserved just for you. Our Estheticians, Nail Techs and Massage therapists are here to WOW you and all your friends with their expertise. Accommodations for Drinks and refreshments can be made to enjoy at your leisure. Call 859-266-1161 today and ask to speak with our Spa Coordinator. Happy faces, gorgeous hair, glowing skin. We do it all and pamper to the max! Ask about our salon services, spa packages, and membership offers. Copyright © 2017 ziyansalonandspa.com. All rights reserved.